A well-stocked kitchen will undoubtedly have an assortment of Cookware And Bakeware ideally suited for a well-organized system. The usual method of stacking pots and pans together results in a clanking jumble of cookware, a tangle of handles and missing lids. 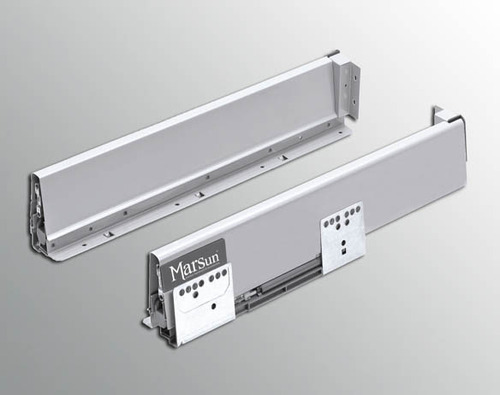 Marsun provides a multitude of specialized storage options for Pots, Pans And Bake-ware, from convenient Deep Drawers with integrated lid storage partitions, to specialized pull-outs for your entire cookware collection. Our firm has become as a foremost firm of Noble Drawer Runners Soft Close. The offered products are made using the advanced machines and sophisticated quality raw material that has permitted from industry. Furthermore, our expert inspects the quality of these products on many quality parameters to make sure its quality and durability. Our provided ranges of products are obtainable in the market in varied specifications.